This is the movie if you’ve ever been on a diet and tried to lose weight or just want to be healthier. 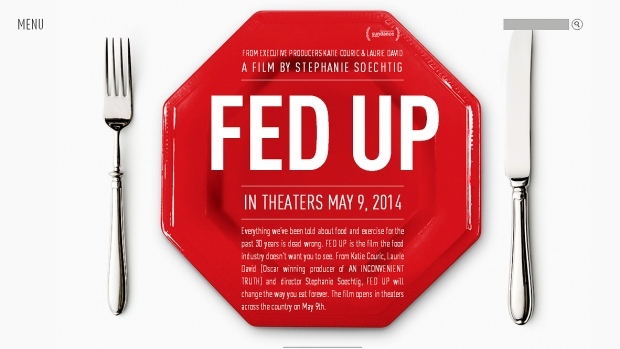 This movie exposes all the added sugar in our food which contributes directly to diabetes and obesity. Bring anyone you love. BRING YOUR KIDS. THEY NEED TO SEE WHAT IS HAPPENING IN OUR SCHOOLS WITH ALL THE FAST FOOD CHOICES THAT ARE RUINING THEIR HEALTH. THEY WILL WANT TO MAKE BETTER CHOICES AND WILL LEARN A LOT. I DO EVERY TIME I SEE IT. If you work with children, come see this movie. If you have children come see this movie. If you want to improve your own health, come see this movie. See the movie trailer below. Journalist Katie Couric backs this movie. Tomato paste is a vegetable? 12 teaspoons of sugar in spaghetti sauce!!!! Fast food in our schools?! GET INSPIRED. MAKE POSITIVE CHANGES. Come see for yourself, if you are FED UP or not? P.S. Sunday, January 25, come make a 2015 vision board. Bring a few magazines and a posterboard or cereal box and all your dreams for yourself. (scissors might be nice too to bring, I do have some) These vision boards are powerful ways to attract all the abundance you want in your life. KIDS ARE ALSO WELCOME TO THIS EVENT. THEY CAN WATCH A MOVIE OR MAKE THEIR OWN VISION BOARD.